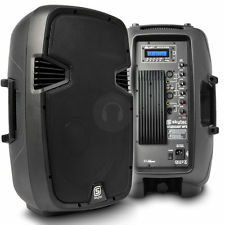 Here we have an amplified speaker that you can use at your party. This speaker offers quality sounds from any device that has a 3.5mm headphone slot. We provide the cable and speaker. All you do is play your music from your device, you can set up a playlist to make things run smooth. Speaker also allows you to plug a microphone in so you can make those all important announcements.